Things had started so well for Chelsea FC that the English football media were ready to hand the title to the London club just a couple of months into the 2014-15 season. Newspapers and websites were awash with predictions of an “invincible” season and an unprecedented quadruple. Matters have gone slightly awry since those heady autumn days but Jose Mourinho’s side are still well-placed for a tilt at silverware this season—if they can avoid the unwanted distraction of off-pitch influences and bitter wars of words. 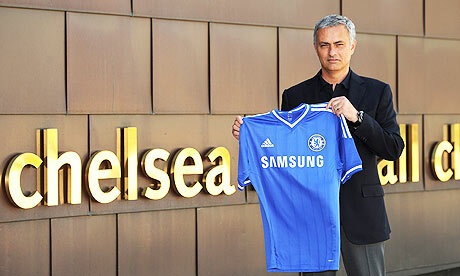 Since that date, Mourinho has played a more subdued role in front of the press. That is, until his recent wide-ranging TV interview with Sky Sports in which he clearly wanted to get his point across regarding Ashley Barnes’ x-rated tackle on Nemanja Matic in the English Premier League fixture between Chelsea and Burnley. Controversy also surrounded the Stamford Bridge club due to an unsavoury incident involving travelling supporters on the Paris Metro, where a small number of fans who were caught on video singing racist songs and were seen preventing a black man from boarding the train. The incident only involved a few supporters and certainly cannot be seen as representative of the club as a whole—however, it is another negative and unwanted distraction off the pitch. Much work is being done to identify and punish those involved. This season ought to be one of excitement and optimism. Jose Mourinho has managed to create an exciting blend of creativity mixed with his usual stubborn power, making Chelsea match tickets sought after commodities. However, bitter rows, misconduct charges—and worse— threaten to overshadow the good work being done. Like a goalkeeper preparing himself for an opposition corner kick, now is not the time for Chelsea to take their eye off the ball.